Black bamboo (Phyllostachys nigra) is a running bamboo, which means it spreads by growing rhizomes underneath the soil. They spread very quickly, by as much as 5 feet each year. 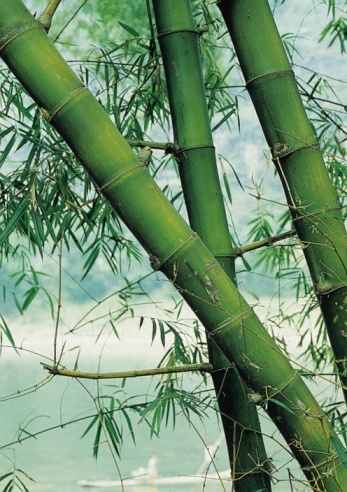 When you want to plant some black bamboo elsewhere in the yard or give some to a friend or family member, simply divide the original plant and transplant the separated clump. Black bamboo can grow to a mature height of 30 feet. Late winter to early spring is the best time to divide and transplant black bamboo. Find the rhizome where the plant should be divided by pushing the tip of a shovel or spade into the soil and carefully loosening the dirt. Move the loosened dirt aside by hand until the rhizome is uncovered. Be careful not to damage any new buds that may be growing on the rhizomes. Look for rhizomes with buds and roots that are light colored, strong and healthy. Black bamboo plants with light, strong-looking roots are generally two- to three-year-old plants. Older plants have dark rhizomes that may have spots on them. Do not divide and transplant bamboo plants that are older than three years. Use a sharp spade to cut the rhizome 2 to 3 inches away from the section of black bamboo that will be left in the garden. Push a spade or shovel into the soil below the rhizome to be removed and lift it up out of the soil. This may also be done by hand by working your fingers below the rhizome and gently wiggling it loose. Keep as much soil intact around the rhizome as possible. Reach down and lift the black bamboo division up at the roots. Do not pick it up by the canes, also referred to as culms. Place the divided black bamboo rhizome into a bucket or container immediately and water it generously. Place it in a protected area out of direct sun and wind exposure until planting time. Wet down the culms, leaves and rhizome, and wrap the entire plant and rhizome in plastic if is being moved to another location. Plant the separated black bamboo plant as quickly as possible. The hole for the new plant should be twice as large as the rhizome and roots. It should be planted at the same depth it was growing before it was divided and transplanted. The top of the root ball should be 1/4- to 1/2-inch above the soil line. Fertilizer and compost should not be added to the back-fill soil. Water the area generously to settle the soil and eliminate any air pockets within the soil. Water the new bamboo plant once or twice each week for three to six months. Keep the soil moist but not muddy. If the leaves begin to curl, it is not getting enough water. Trimming off several branches with hand pruners, in addition to watering it more, can help revive it. The black bamboo plant can be safely trimmed back to four leafy branches. 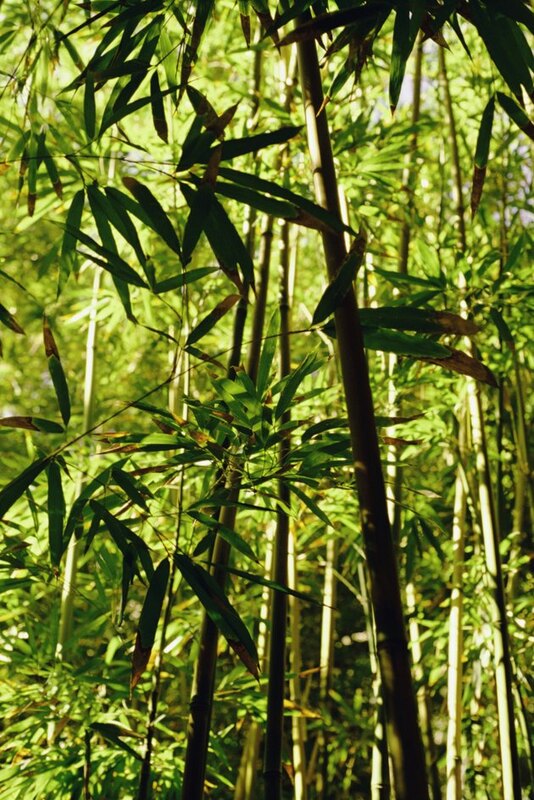 Place a 2-inch depth of mulch around the bamboo to keep moisture in the soil. Do not give newly transplanted black bamboo any fertilizer for three months. Give it grass fertilizer in June and September after transplanting, and then in February, June and September in subsequent years.